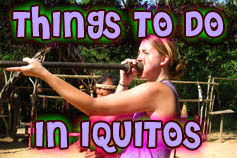 There are two main ways to see Iquitos and the surrounding areas. One is to get a map and a list such as this and wander around finding your way as you go. The other option is to hire a guide for a City Tour, you choose your activities and he takes you for a 1 or 2 day trip. Jungle Man Expeditions, has guides that know the city and also has access to boats if getting on the water for places beyond is more your style. 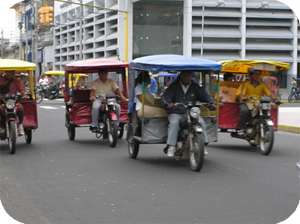 The multitude of mototaxis, and motorcycles that exist here is due to the fact that Iquitos is the 2nd largest city in the world you can only reach by boat or plane. There are a few automobile taxis here, but largely due to the economical advantage most people use mototaxis. For 2 soles ($.70) you can go most places around the center of town. Here is a sampling of the more popular activities. Belen Market for morning shopping and observing the huge variety of jungle products that are sold, including multitudes of different fish, tamales, exotic fruits, turtle eggs, even some wild jungle meats, such as tapir, caiman and others. Pasaje paquito is an area there that sells plant and other medicinal remedies aphrodisiac, even love potions. You can rent a canoe and have someone paddle you out to observe the community of floating houses in the Belen Harbor with its Victoria Regis(giant lily pads). Quistococha Zoo and swimming beach can be reached by bus or mototaxis out the Iquitos-Nauta highway. They are slowly enlarging and improving the cages for the animals, the main draw is being able to see jungle animals close up. From big cats to a variety of monkeys and other mammals, birds and even a pink dolphin. 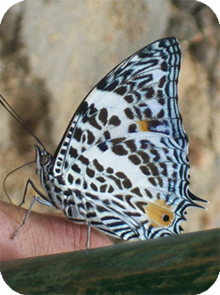 Pilpintuwasi Butterfly Farm and Animal Orphanage is a short boat ride from the port of Bella Vista in Nanay. It’s a beautiful tropical garden where they raise butterflies and educate you in understanding the life cycle of the butterfly. They have rescued from various circumstances and now raise a few animals and birds that you can interact with also. Also down the Nanay and Momon River are the Yagua & Bora tribes living how they have lived for generations. 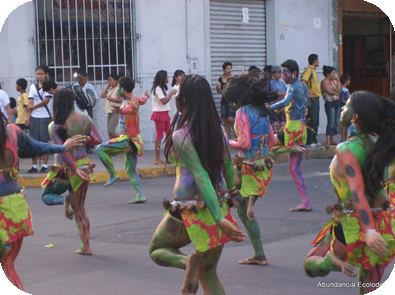 The Boras perform their traditional dances for you while the Yaguas will enjoy teaching the skill of using a blow gun. Nice handicrafts made from jungle products are sold by both of these villages. Spending the day on the Amazon on a boat ride or take a Cruise Around Iquitos on the Three Rivers that surrounding the area makes a fun excursion. Barrio Florido, the Caiman Farm, where they raise them lets you get up close and personal to these ancient jungle reptiles.